We are developing strategies for disseminating emerging technologies and optimizing supply chains to maximize the societal benefits of agricultural genome editing. Matthew Potts is an Associate Professor in the Department of Environmental Science, Policy, and Management and the S.J. Hall Chair in Forest Economics at the University of California, Berkeley. The Potts lab builds quantitative understanding of how to optimally achieve ecosystem service production and biodiversity conservation in multi-use landscapes. Their work addresses unanswered, fundamental ecological questions while directly informing how to sustainably manage temperate and tropical ecosystems. 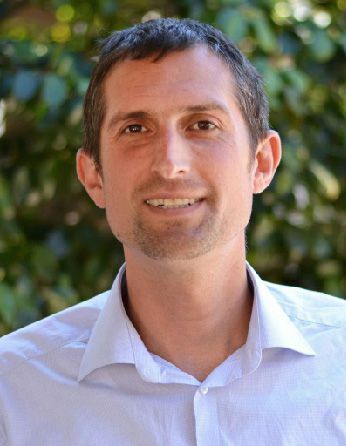 David Zilberman is a Professor and holds the Robinson Chair in the Department of Agricultural & Resource Economics at the University of California, Berkeley. 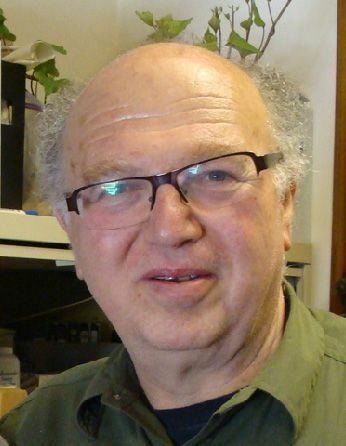 Dr. Zilberman focuses on agricultural and environmental policy, the economics of innovation, risk and marketing, water, pest control, biotechnology, and climate change. Application of genome editing technology in agriculture presents multiple opportunities for economic and environmental improvement and has the potential to contribute to global development and sustainability goals. However, genome editing is also likely to encounter obstacles because of political objections and regulatory hurdles, as well as individual constraints on grower adoption. By assessing the impact of the genome editing technology in agriculture under different conditions for heterogeneous actors, we are identifying diffusion strategies and agricultural supply chain designs that will allow applications of genome editing technology to move from the lab to the field most effectively. Finally, by assessing the impact of genome editing technology in agriculture on several dimensions of environmental quality, food security, and economic welfare (surplus to consumers, to farmers of different types, and to industry in different countries), our work is informing on-going policy debates and providing guidance for the assessment and diffusion of emerging technology in agriculture. The threshold model assumes that the adoption of a new technology will depend on a producer attribute–for example farm size–that will have some critical value beyond which producers will adopt that technology. 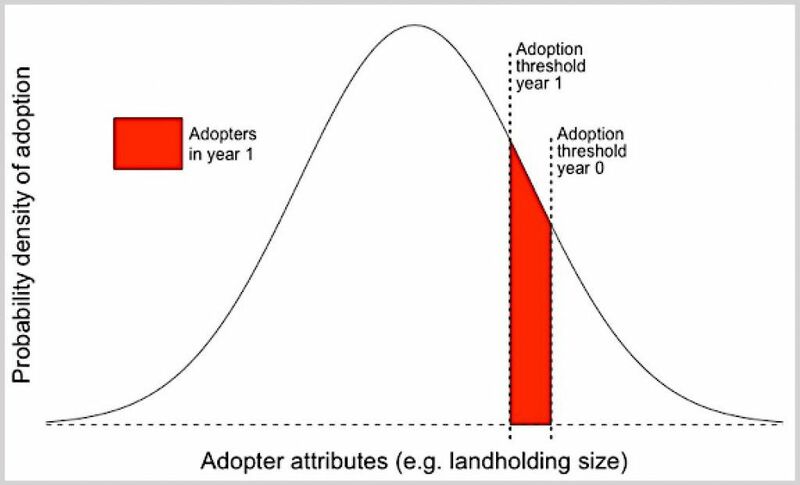 From year to year, that critical value will change to make the technology more accessible, and the number of adopters in any given year can be modeled as the number of producers whose characteristic–the farm size–lies between the critical value in one year and the critical value in the next. Figure appears in: Sunding D, Zilberman D. 2001. Chapter 4 The agricultural innovation process: Research and technology adoption in a changing agricultural sector. Handbook of Agricultural Economics 1:207–261.